After 18 months, four strike ballots and three separate legal proceedings it seems that the bitter dispute at BA has been brought to a mutually satisfactory conclusion. Under the agreement, approved by Unite shop stewards, but which still requires a postal ballot of 10,000 cabin crew, British Airways will offer pay increases this year and next, along with restoring free-travel concessions to staff. The battle began in October 2009 when BA announced plans to cut 1,700 full-time cabin crew jobs and freeze pay. There were 22 days of strikes in total last spring, costing the airline an estimated $150 million in losses. BA had already reached an accord with its pilots in March giving them a 4 percent pay award in the first year. 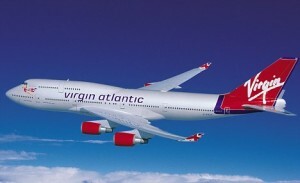 Meanwhile, Virgin pilots are to vote on strike action in a poll next week after talks about a new pay deal broke down. Virgin’s pay rise offer of 4% this year and a further 3% next year and in 2013 was deemed insufficient as pilots haven’t had pay rise since 2008 and U.K. inflation is forecast to breach 5 percent, the British Airline Pilots Association announced today. Virgin pilots earn between £58,000 and £110,000 depending on experience.